It used to be that the trend was all about gloss. The more gloss you have on your lips, the better. The shinier your lips were, the more fabulous you were. However, what wasn't fabulous nor good was the stickiness of the gloss when you kissed someone, drank something, or eat your food. After all, no one likes anything sticky on their lips, glasses, or food. Matte lipsticks to the rescue. 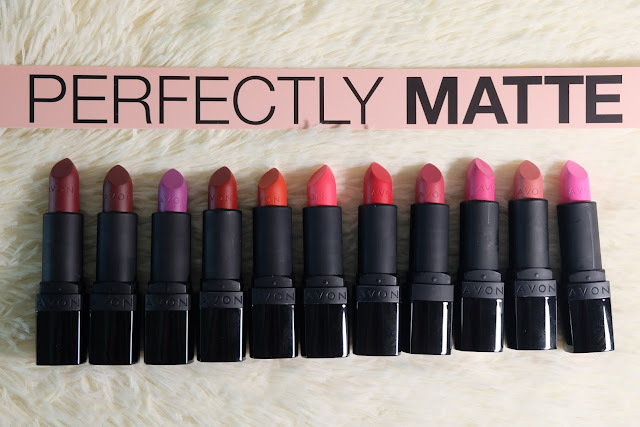 Matte lipsticks have now become the rage because women are too busy to keep swiping a new layer on their lips after every coffee drink, snacks, or make out session. 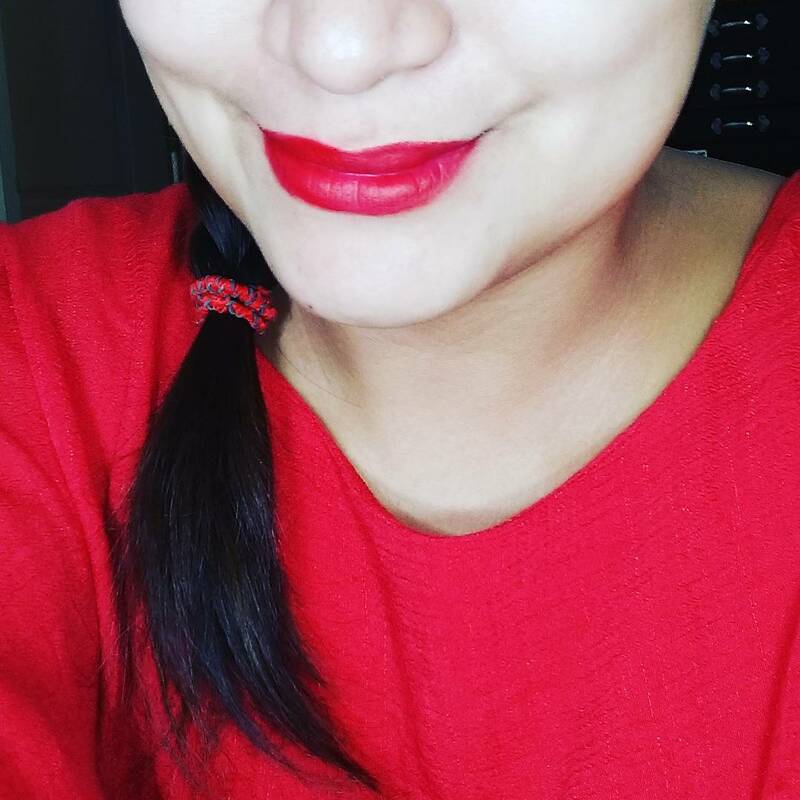 With matte lipstick, instead of having to retouch every few hours, sometimes, you just need to do it once in a day. Avon understands this and has come up with #PerfectlyMATTE lipsticks because that is #AllThatMATTErs. 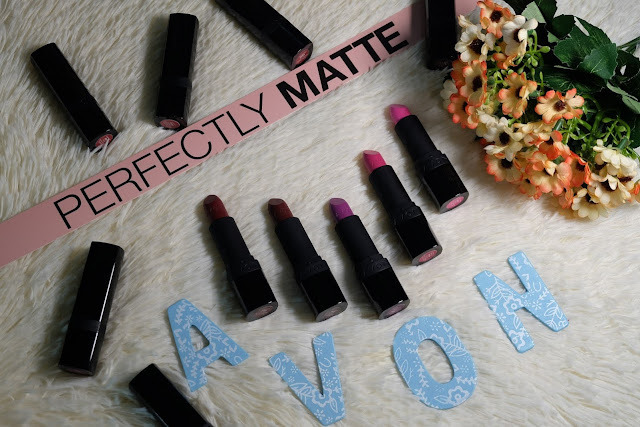 Avon has come up with 20 beautiful shades which ensures that all skin colors and lips will have their perfect match. From Wild Cherry, Superb Wine, Hot Plum, Red Supreme, Coral Fever, Vibrant Melon, Ruby Kiss, Mauve Matters, SplendidlyF Fuschia, Pure Pink, Electric Pink, Adoring Love, Pink Passion, Rouged Perfection, Pink Truffle, Blush, Peach Flatters, Au Naturale, Tempting Mauve, and Rose Awakening, it's easy to go from Girl Next Door to Hot Vixen. The ones above are my favorite. It just looks more natural for me with the neutral tone. 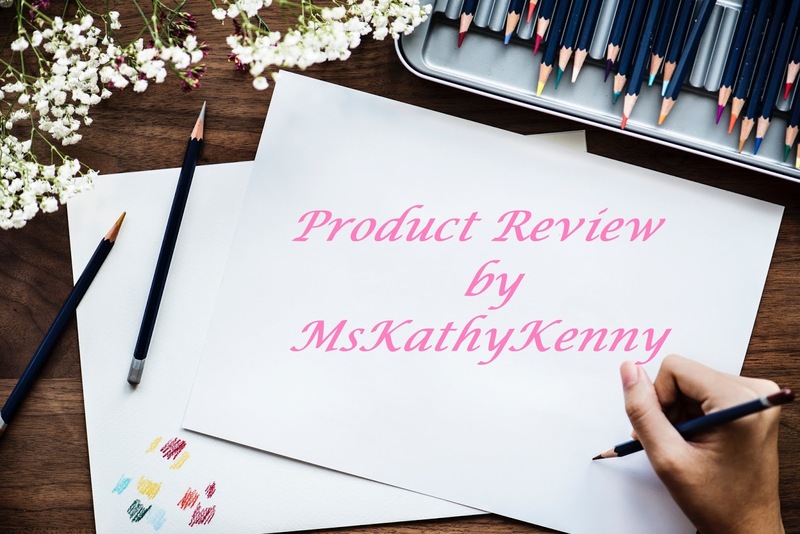 The pink shades give off a feminine vibe as well which is something that I have learned looks good on my face. A few things to remember when wearing Matte lipstick though is that you need to exfoliate often. Where creamy lipstick and gloss are forgiving, matte lipsticks will highlight every single dry part of your lips which then would not look good in photos. 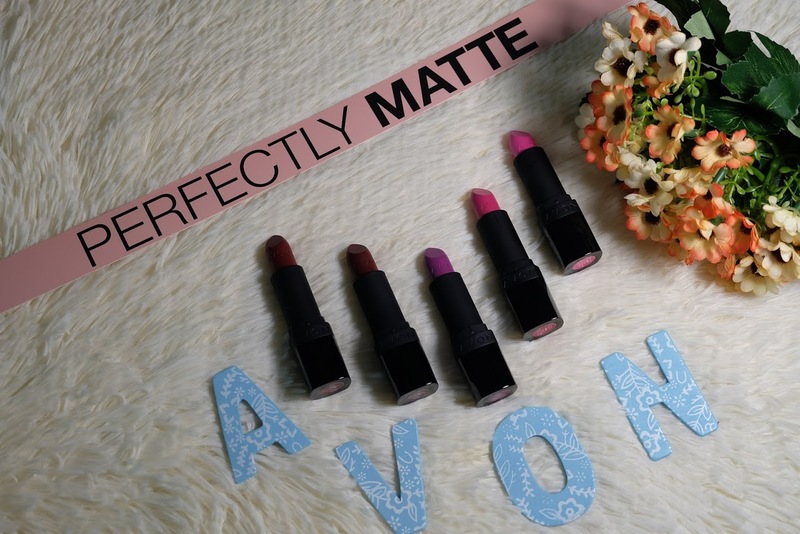 Matte lipsticks tend to have stronger staying power than glossier shades when you eat. However, oily foods can cause matte lipsticks to flake away and reapplication can be extra difficult. It s recommended that you use lip liner on your matte lipstick. Also, always remember this: A bright red matte lipstick is the perfect, easy way to achieve a retro 50s pinup look that never seems to go out of style. Even Taylor Swift swears by this.